New Delhi: Bharat Sanchar Nigam Limited (BSNL), a Government of India Enterprise, and NEC Technologies India Pvt. 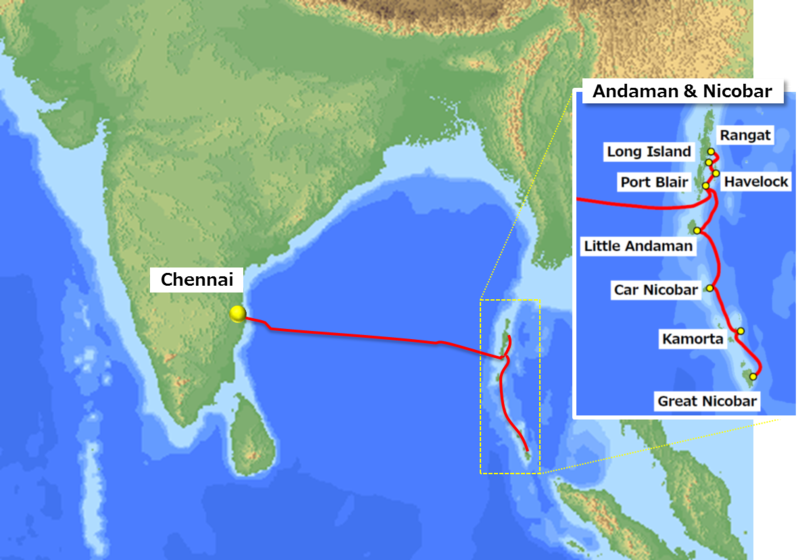 Ltd. (NECTI) announced today that a purchase order has been placed by BSNL for NECTI to design, engineer, supply, install, test and implement an optical submarine cable system connecting Chennai and the Andaman & Nicobar Islands (A&N Islands). NEC Corporation (TSE: 6701), the parent company of NECTI, will manufacture the optical submarine cable and provide technical assistance during the turnkey implementation. The contract is for a system that includes a segment with repeaters from Chennai to Port Blair and seven segments without repeaters between the islands of Havelock, Little Andaman (Hutbay), Car Nicobar, Kamorta, the Great Nicobar Islands, Long Island and Rangat. The total cable length will be approximately 2,300km and carry 100Gb/s optical waves. 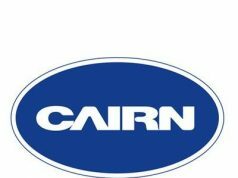 The cable system will provide the A&N Islands with sufficient bandwidth for supporting voice and data connectivity that enable the implementation of e-Governance initiatives, such as the establishment of enterprises and e-commerce facilities. The system will also assist educational institutes in the sharing of knowledge and will play a significant role in driving the “Digital India” vision, a campaign launched by the Government of India to ensure that Government services are made available to citizens electronically. ”BSNL is pleased to select NEC for implementing this prestigious project. We trust NEC for the technological edge they hold in the domain and their commitment to adherence of timelines to ensure successful completion of the project. This project will enable much needed high capacity connectivity with the Andaman Islands and usher a new era of development for the region,” said Mr. Anupam Shrivastava, Chairman and Managing Director BSNL. ”It is indeed a matter of great privilege and pride for NECTI to be given the opportunity for implementing this project of immense national importance. We are confident about successfully completing the project by leveraging the technological edge of NEC and long history of successful implementation of numerous complex projects in the region,” said Takayuki Inaba, Managing Director of NECTI. “Connecting the A&N Islands to the Indian subcontinent with an optical submarine cable has been a long-time aspiration. NEC is extremely proud of being chosen by BSNL to serve these islands with its cutting edge submarine cable solution, which promises to bring the A&N Islands much closer to the world,” said Toru Kawauchi, General Manager, Submarine Network Division in NEC. “Together with NECTI, our local Indian affiliate, we intend to fully capitalize on our regional expertise and to ensure the successful completion of this project”.